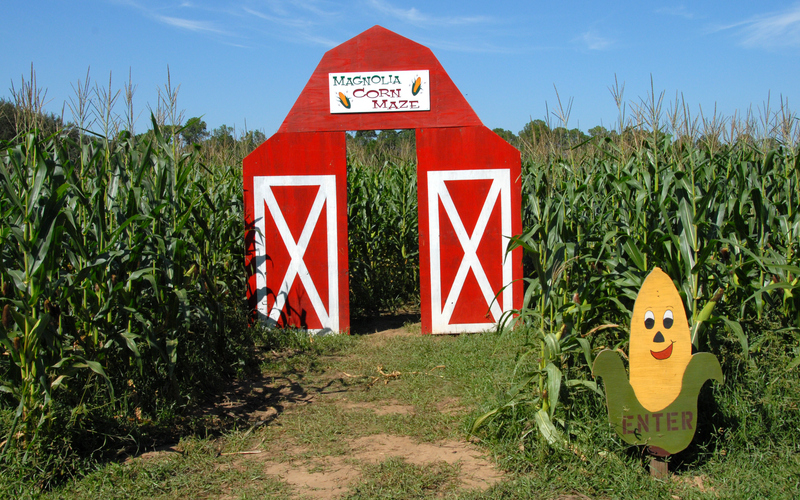 Our ComeBack Pass is only available for purchase at the farm on same day as purchasing your A-Maze-ing Pass Wristband. It is good for 1 return visit at anytime during the current season for the same person. May be purchased at front desk or pavilion. 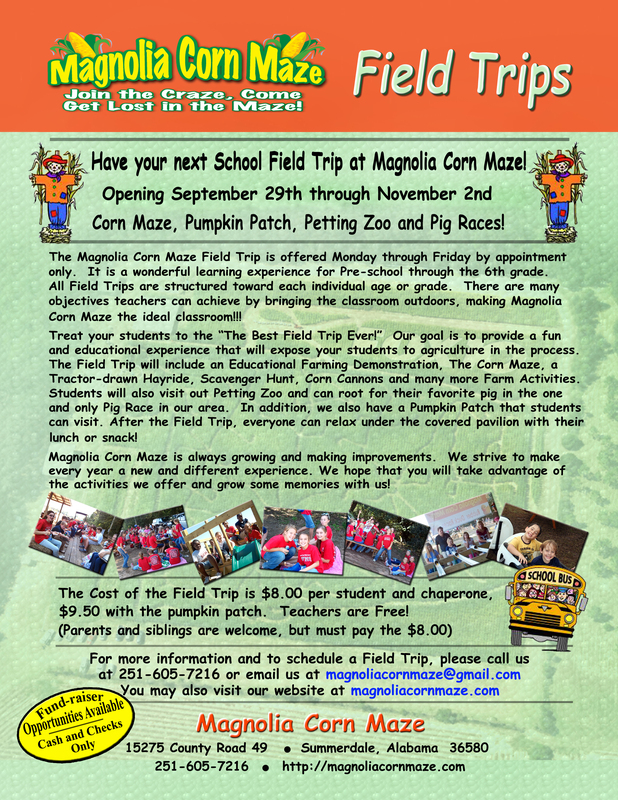 Magnolia Farms Corn Maze offers a great way to get kids out of the classroom. Please call us today for reservations. To download form click here. 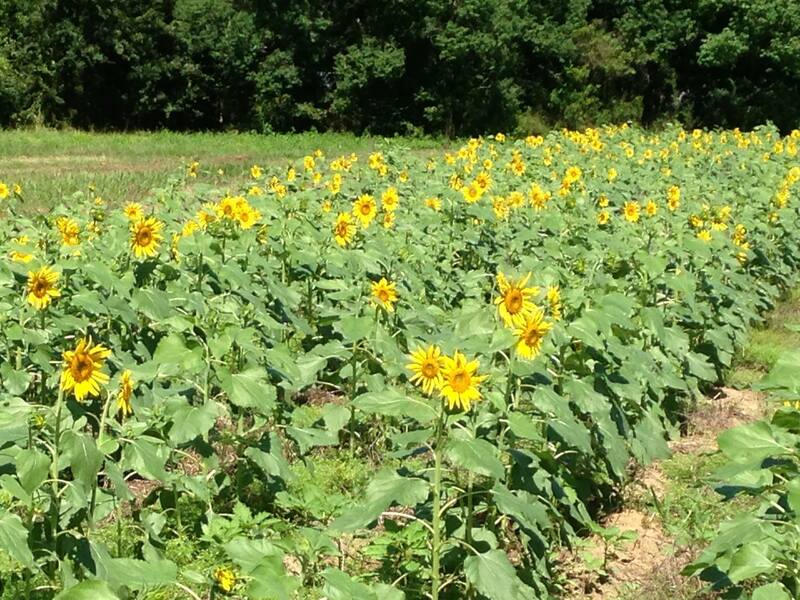 Pumpkins in Pumpkin Patch are available for purchase. Price based on individual pumpkin. Pumpkins are not included in admission price. What better place to have your next Birthday Party or Group Outing then at Magnolia Corn Maze? We offer covered pavilions to rent for birthday parties and special events. Please see our Birthday Party page for more information and pricing. 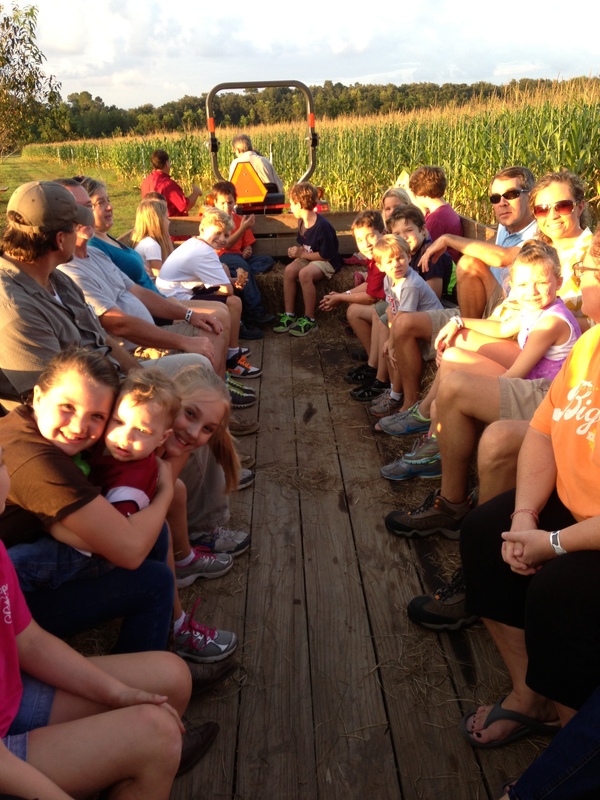 Scouts receive $2.00 off admission and 1 Leader free. Reservations can be made for large groups for party pavilions and fire pits. $2.00 off with Valid Militay I.D. Group of 25 or more with receive $2.00 off admission price (Excludes Haunted Events, some other exclusions may apply).